a Salmon Conservation Stamp for their licence. o Beverages such as coffee, tea, etc. *Dress in layers if you plan on staying outside and on deck. The weather at sea can range from cold and wet to hot and sunny all in one day! 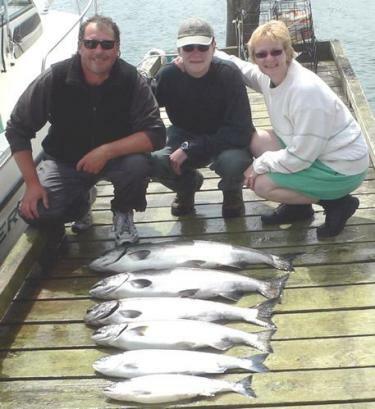 D&D Fishing Charters boat has a heated cabin so no special clothing is required.